In 2016 Zaha Hadid will be instrumental in the revitalization of Downtown Miami. In four years, Zaha Hadid’s design for a residential high-rise in the financial district of Miami overlooking scenic Biscayne Bay will be completed. Currently, the design is presented to the public and potential buyers of condominiums in the form of an elaborately sophisticated laser-based imaging system that produce photographic images such as this one of Zaha Hadid’s One Thousand Museum project. This is how Lux Living Realty describes the multi-storied apartment building: “One Thousand Museum is an ultra-luxury, preconstruction condo development with prices ranging from $4.9M for a half-floor residence, to $45M, for a palatial, two-story penthouse, encompassing the entire 58th and 59th floors and spanning over 15,000 interior square feet. “Internationally acclaimed and Pritzker Prize winning architect, Zaha Hadid, has been commissioned to design the 62-story, architectural masterpiece. 1000 Museum will have just 83 museum-quality residences, comprised of 4 duplex townhouses, 70 half-floor units, 8 full-floor penthouses and 1 double-story/full floor penthouse. Note: This column is dedicated to the memory of Ada Louise Huxtable who was on the jury that awarded the Pritzker to Zaha Hadid in 2004. Huxtable died last year at the age of 91. Before returning to the discussion on Zaha Hadid’s role in the revitalization of downtown Miami, let us pause for Ada Louise Huxtable‘s perspective. Ada Louise Huxtable redesigned architectural criticism. 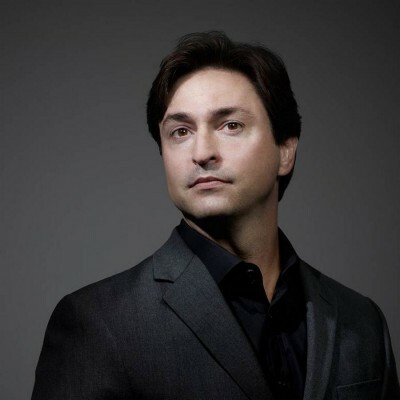 Indeed, The New York Times established the position of architecture critic especially to keep Huxtable, who won a Pulitzer Prize, working for The New York Times, the newspaper of record in the U.S.
Zaha Hadid’ presence in South Florida is indicative of the flourishing of architecture in the area. Miami’s business leaders are investing heavily in making sure Miami maintains its current position as The Bank for Latin America. The award of the commission for One Thousand Museum to Zaha Hadid represents a clear and openly stated appreciation of Hasid’s considerable talents. Sales literature emphasizes that Zaha Hadid is the winner of the Pritzker Prize for Architecture. In future columns I plan to discuss the awarding of the prize, its significance to the laureate’s career, profiles of jurors and details on why jurors voted as they did. This is the pool deck area of One Thousand Museum. 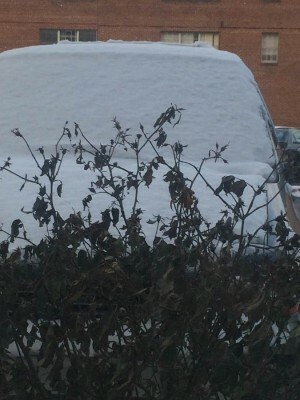 On Thursday, January 23, 2013, the temperature in Miami Florida was 71 degrees F. On the same day, below is this view from the living room of my first floor apartment in State College a small college town in central Pennsylvania. The temperature that day—as I was en route to the dentist for an hour and a half of root canal work–was 9 degrees F.
On January 23rd news reports on a spell of “cold” weather reaching South Florida, reported tourists in New York, Chicago, and Canada were canceling their airline and hotel reservations in favor of a hotter Caribbean where one can spend a pleasant vacation morning, noon, and night wearing a bikini or nothing at all and not be required—as the denizens of Miami and Miami Beach might—to wear a sweater, long pants, and socks. What kind of a luxury vacation can one expect spending tens of thousands of dollars for two weeks in the sun when one has to wear socks? When I was a child in South Miami Beach, there were rumors the Chamber of Commerce rigged the temperature on the tall building on Lincoln Road telling everyone in our flat universe the time and temperature. I remember a winter, when I was saluting the flag in the elementary school playground where it went down to the high 30’s F in winter. One quickly learned in Miami Beach when dining with my mother’s friends, not to express glee at cold weather. I was cautioned to be mindful of the probability the father of the house had gambled everything on weather being 75 degrees in January and February only to find that God works in mysterious ways sometimes unanticipated all too often resulting in suicide, the grieving family to find that daddy had borrowed on his insurance policy and taken out four mortgages on his syndicate’s hotel, only to discover the imprudence of gambling on the weather when the weather was everything. Today, as a result of massive migration, Florida’s population at 15.9 million runs a close fourth place to third place New York State. By comparison, in 1940 less than two years before U.S. entry into World War II, New York was the first largest state in the U.S. and Florida was 27th. The economics of pleasing short term tourists is no longer the life-and-death issue it was when I was a child in Miami Beach over 50 years ago. 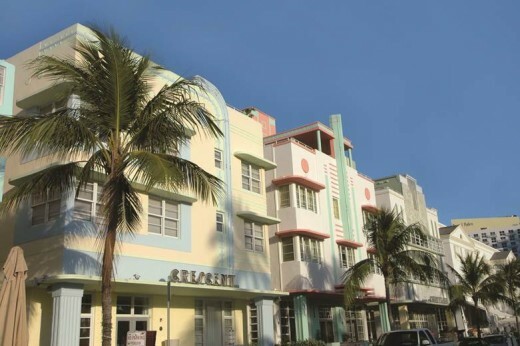 Hotel owners in Miami Beach have marketed successfully the idea of making their hotels a place of permanent residence. The Fontainebleau hotel, for examples, has condominiums for sale on the site (although I suspect there is a waiting list) as is the case for hotels in South Beach which is now described as an exciting neighborhood where there is plenty to do. When I was a child, South Miami Beach was decayed and depressing. In a future column, I plan to describe how Hadid is incorporating into her work compliance with the Building Information Management (BIM) standard and in her use of virtual reality modeling. The significance of BIM to the architecture, engineering, and construction community is made surprising comprehensible in San Francisco attorney Howard W. Ashcraft, Jr.’s article “Building Information Modeling: Electronic Collaboration in Conflict with Traditional Project Delivery” published in the Construction Litigation Reporter, July-August 2006. It is now time to take a deep breath. Yes, the citation appears to be formidable. Relax. Ashcraft’s article is dazzling brilliant. Here Ashcraft explains the value of BIM in making the software among all the principals involved with a major project compatible. For example, as a result of complying with BIM, the software design at the architect’s office can be read by the structural engineer and subcontractors and the construction company and its subcontractors. All principals can communicate back and forth on all computers involved in the project effortlessly. 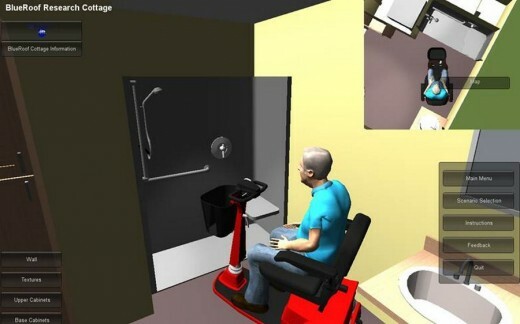 Screenshot by Joel Solkoff of his presence as an avatar in Dr. Sonali Kumar’s thesis entitled EXPERIENCE-BASED DESIGN REVIEW OF HEALTHCARE FACILITIES USING INTERACTIVE VIRTUAL PROTOTYPES, A Dissertation in Architectural Engineering for Penn State University. Dr. Kumar’s dissertation focuses on two virtual reality models. The first animates a hospital. The second is a model for an independent living facility for the elderly who also may have disabilities. Yes, there was indeed an actual Blueroof Cottage in McKeesport, PA on which Dr. Kumar’s virtual reality model was based. Below is a photograph of Blueroof’s real life independent living facility designed to showcase how to provide low cost housing for one family in one of the poorest, most crime ridden communities in Pennsylvania, 17 miles away from Pittsburgh. Pittsburg by comparison not only to McKeesport, but to the rest of the United States, is thriving. Stay tuned for more on encouraging architectural excitement taking place in Pittsburgh. Right now, I am concentrating on the misery of Rust Belt, PA where I live, an area which includes McKeesport. I am especially mindful of the consequences of failing to provide shelter for elderly and disabled individuals of low income needlessly exposing them to the danger of being forced into expensive nursing homes. “McKeesport was incorporated as a borough in 1842 and as a city in 1891. Its population grew steadily until the mid-20th century, when it peaked in the 1940s. “The city’s population in 1900 was 34,227; in 1910, 42,694; in 1920, 45,975; and in 1940, 55,355. The decrease in the population since the 1940s is attributable to the general economic malaise that descended upon the region when the steelmaking industry moved elsewhere. [Joel’s note: Hence the term “Rust Belt”.] The major employer was the National Tube Works, a manufacturer of iron pipes, which once employed 10,000 men” Wikipedia states. From a peak of 55,355 in 1940, the current population of McKeesport is 19,731. With the absence of any significant opportunity for employment, young trained individuals left the local school district and found careers elsewhere. They left the once prosperous city with a population base highly concentrated on the elderly, the disabled, and the untrained poor. Pennsylvania has the second highest concentration of elderly people of any state in the U.S. with the exception of Florida. Florida has the largest concentration of elderly. Unlike Florida where being poor and elderly can indeed be miserable; the extent of misery among the elderly poor in the central part of Pennsylvania–between Philadelphia and Pittsburgh–is considerably greater. For many Rust Belt PA elderly, their children have left for other places leaving the government by default to provide care. Perversely, government care comes at greater expense to the government than is necessary because of the manner in which entitlement programs work. By bipartisan agreement in Washington D.C. among the 535 members of Congress—an agreement that rarely occurs—two principal reasons for the U.S. government’s budgetary crisis, certain to get worse, are the massively expensive Social Security and Medicare programs—characterized frequently on the nightly news are members of Congress bemoaning the coming financial catastrophe recited with histrionic despair “entitlement programs.” I will defer discussion of Social Security and concentrate for the time being on Medicare. Medicare is the health insurance program for the elderly who paid into the Social Security trust fund in their youth and middle age. Relatively speaking, it is an excellent program. When I was operated on at Memorial Sloan Kettering Cancer Center in August by a world-famous specialist, the combination of Medicare and a private health insurance policy known as “Medigap” paid for the operation and two weeks at the best hospital in New York City at a cost to me of $17. By comparison, Medicaid is a considerably inferior program in many states. Medicaid recipients are the elderly poor and the disabled who did or do not pay into the Social Security Trust Fund as well as individuals on welfare. On a federal level the two programs are administered by the Centers for Medicare and Medicaid Services (CMS) in Baltimore County, Maryland—an hour drive from Washington when the traffic is good. Marilyn Tavenner, administrator of CMS, reports to the Secretary of Health and Human Services who reports directly to the President. Federal money spent by Tavenner on Medicare and Medicaid is larger than the budget of the Secretary of Defense. As 10,000 members of the Baby Boom generation retire every day, receiving Medicare cards every day, the Medicare budgetary crisis grows worse. The budgetary crisis would be vastly alleviated if independent living facilities, such as the Blueroof Cottage in McKeesport, stimulated the building of safe housing. Safe accessible housing would avoid unnecessary accidents—accidents which force Medicare recipients into astonishingly expensive nursing homes providing 24 hour medical care. Marilyn Tavenner does not have the authority to prevent unnecessary expenses by investing in the preventative cost of safe and accessible housing. The elderly in communities such as McKeesport and Centre County (where I live) are being forced by unsafe housing conditions to be essentially entombed in nursing homes destructive to the resident’s self-esteem. 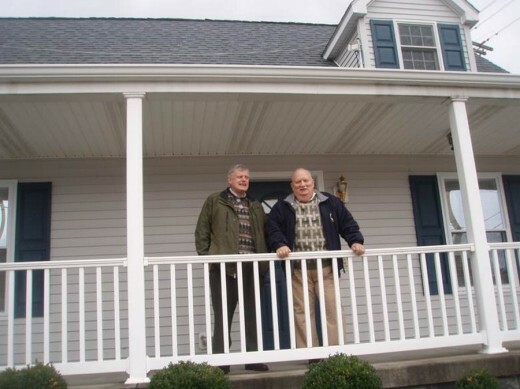 Twelve years ago, Robert Walters, an engineer at Penn State’s Community College, formerly called McKeesport Community College, created the Blueroof Cottage above. During this period Penn State renamed the college Greater Allegheny Community College because the name McKeesport was regarded as depressing deterring prospective students from attending. Without the services of an architect, Walters designed a wheel chair accessible single family dwelling. The dwelling is made from factory-built housing with sensors inserted in the walls during factory assembly. Including digging the foundation, the cottage was assembled in three days. Off the shelf technology included such features as a laser monitoring of someone taking a shower. John Bertoty, a retired principal at the once prosperous McKeesport school system, provided essential organizational skills. In July 2012, I spent two weeks as the only guest invited to live at Blueroof and took the best shower in my 20 years’ experience as a paraplegic. If I had fallen in the shower, the sensor would have noticed the absence of motion. After a pre-programmed period, the sensor would have directed a computer voice simulated telephone call to local emergency services, thus coming to my aid. The absence of federal grant money, foundation interest, and local revenues has essentially forced Blueroof out of business. The link to Penn State’s virtual reality lab at University Park, two blocks away from where I live, contributed greatly to the utility of Dr. Kumar’s virtual reality modeling. With the massive demographic shifts occurring as the largest generation in U.S. history retires, major new housing construction will be required to house the elderly. Already there is a housing crisis during the current period of neglect. When construction eventually takes place in earnest, virtual reality modeling as a component of BIM will be a necessity for avoiding unnecessary costs. In the last two years, BIM compliance has swept through the construction industry in New York. In the absence of government and foundation money for new housing for the elderly, I am searching for answers provided by the great architects of our time. I have learned a great deal from studying Renzo Piano and Frank Gehry. I am especially interested in looking at Zaha Hadid’s work in creating worker housing as part of her Master Plan for Bilbao, Spain. I will compare the affordable housing in Spain with the luxurious housing in Miami and report on what I learn. In a future column, I will be describing Zaha Hadid’s laser-based design for One Thousand Museum after discussing the details with Chris Lepine, her London-based Associate. I have been talking to Lepine over a Skype link between rural Pennsylvania where I live and London which is distinctly not rural. Chris Lepine, Associate Zaha Hadid Associates, London. Lepine’s role on the One Thousand Museum Project is similar to that of Renzo Piano’s partner-in-charge of the New York Morgan Library and Museum Giorgio Bianchi, who appears in e-architect published video interviews. 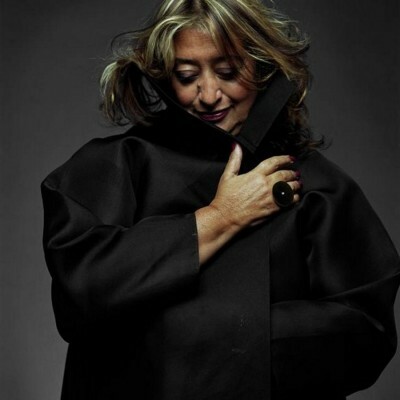 I am still in the process of defining Zaha Hadid’s creative vision for One Thousand Museum. I will use a similar exhaustive approach as I did in defining for e-architect Renzo Piano’s vision for the Morgan. My approach to Piano has included interviews on how Piano’s vision was implemented including discussions with the New York City architecture firm retained as executive architect, the structural engineer, the president of the construction company, and the deputy director of the Morgan who played a key role in convincing Piano to accept the commission, worked with him, and co-authored a book describing Piano’s role in showcasing the Morgan to highlight a dramatic neighborhood restoration where previously decay had set in. 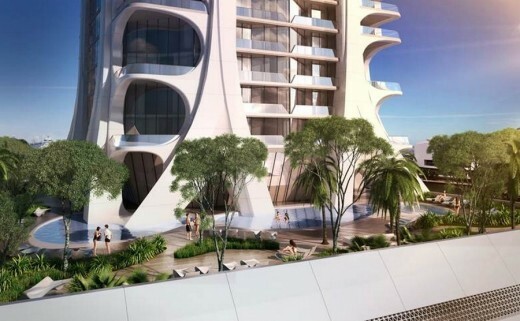 Hadid’s vision includes incorporating luxury residences into an integrated Downtown Miami community. Hadid is not simply designing a building; she is forming the building blocks for designing a city. Stay tuned as I continue to suggest that I can read her mind. Joel Solkoff’s future columns will describe how retirement of the Baby Boom generation will result in a major shift in the U.S. population. After the Second World War, parents and prospective parents of infants and young Baby Boomers moved the population center of the United States from the city to the suburbs. Now, the largest segment of the U.S. population is retiring Baby Boomers who are in the process of abandoning the suburbs for urban areas where automobile access is no longer required for independent living. Solkoff is convinced Zaha Hadid’s design for Downtown Miami provides a significant portent of things to come. February 24, 2014 in Columns.